Berlin was the city where we organized the European Community Gathering last Sept 10th and 11th, a meeting to work with community members to plan next steps for Mozilla and its European communities, with a focus on current projects and how we could revitalize our communities in Europe. This year, Participation Team begun to organize community events with a focus on update mozillians with last Mozilla’s and Participation Team goals and, at the same time, have skill building trainings that will be needed by mozillians to have a greater impact on Mozilla’s mission. We start on Singapore, but then we moved to Regional or Country focus gatherings. This last quarter we organized one in India and another one in Europe. Our main focus for European gathering was to bring alignment on «Copyright reform», a campaign that Mozilla and other partners organizations are creating to raise awareness about the changes that could be introduced to European Union that will affect countries laws and the way we work online and use the Web. Also we thought will be a good chance to reflect on the current status of the communities and how we could revitalize them. 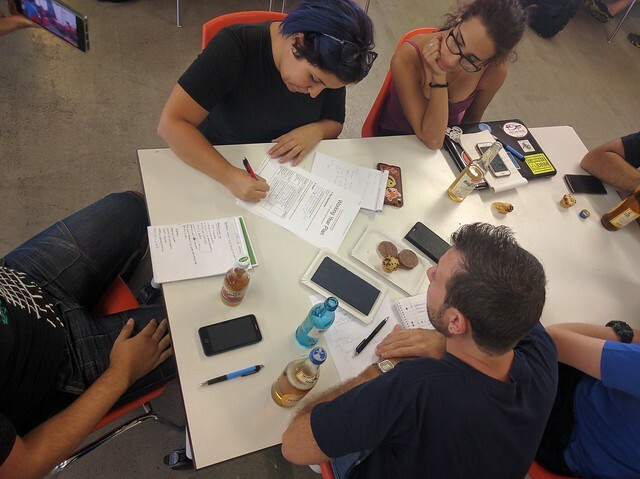 25 volunteers were invited to participate from different European countries, with priority on countries that were identified that could have more influence on the European Parliament. Rubén Martín wrote a good explanation on this priority decision. They arrived on Friday and we started the event on Saturday morning. We planned the event content to focus on goals and skill building on Saturday, and current Mozilla’s interests and planning for the future on Sunday. We started Saturday with introductions and a talk by George Roter about Mozilla’s and Participation team goals and how we think we could empower communities to make a better impact in their countries. Then we followed with sessions that reflected how each of us has different ways to work and see the world and how we could use that to create better spaces to work. Then was the time to work on the policy issues that Mozilla is working on, with a workshop that was tested in India. After lunch we begun the skill building session, where we talked about how to structure your message when you need to give a talk or introduce a topic to your friends and a team work technique called Draw a toast. Last part of the day was focused on how we could restart European communities, and how we could work in a region level, and not only divided by country. Both regional coaches for Europe were present at that time, and that let us had really interesting discussions. And after lunch we had a long conversation with Raegan MacDonald about Copyright reform and what will mean for the European Union if it’s approved like we know it at this point. That prepared the space for the Maker Party conversation. Like you may already know, this year Maker Party will be focus in European Union and the copyright reform and there will be some activities that everyone could run in their countries, universities and colleges to help raise the voice about this reform, and try to influence EU Representants to modify the law and protect the Web. Last part of that long day was dedicated for Lightning Talks, projects and ideas brought by the volunteers. All the sessions were recorded and will be uploaded to Air Mozilla to be watched for all the people interested. Also, we wrote down comments and idea on this Etherpad where you will find useful links to resources and other etherpads. This event was really useful as the beginning of the Maker Party. We practiced one of the sessions that we were preparing and we had great feedback that will make it better. We are waiting for a post event survey, but the first feedback we had was that the event was very useful. 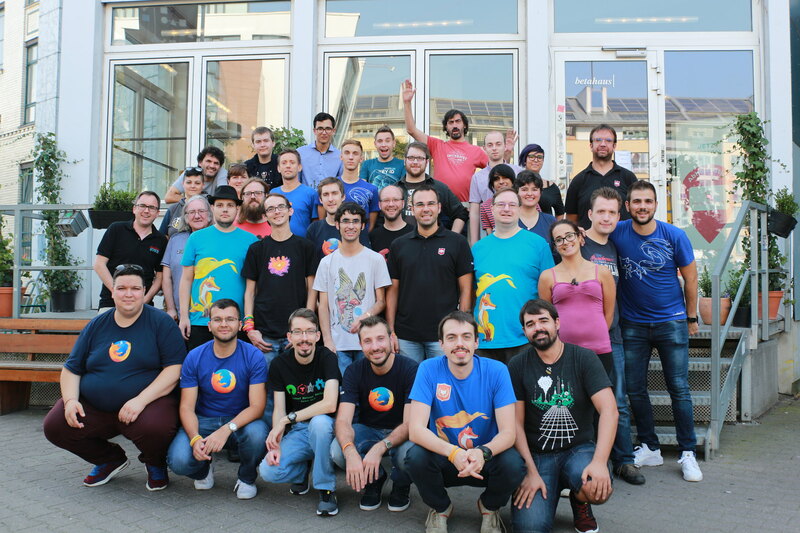 Also, these events are a great place to learn how we could work better for Mozilla’s mission and future.